Providing you the best range of horizontal ribbon mixer, plough shear mixer, butterfly mixer, planetary mixer, sigma mixer and rapid mixer granulator with effective & timely delivery. 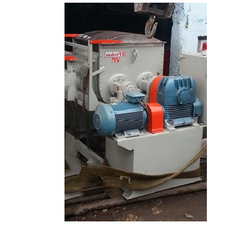 We provide our esteemed customers with an exhaustive gamut of Horizontal Ribbon Mixer in various capacities. Dry material (poedery, granular, short fibred), dry materials and liquids(wetting), liquid and paste with low viscosity. We offer Plough Shear Mixer with the mixing drum filled 30-70% and the rotation speed adjusted according to the size of the mixer, the plough shaped shovels attain a wiring, three dimensional product movement. The mixing is lifted from the drum wall due to the from, angle of adjustment and rotation of the mixing shovels, and product particle cannot squashed between the back of the shovels and the drum wall. Attains high mixing accuracy, short retention time and simultaneously a particularly protective treatment of the mixing products. 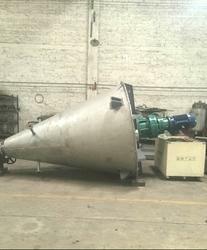 We are engaged in manufacturing and supplying superior quality Butterfly Mixer/Twin Shaft Mixers that are designed as per the specification of the clients. Our products are used for production of paints, inks, coatings & construction chemicals. These products are fabricated using premium quality material under the supervision of our qualified engineers. Backed by a team of qualified professionals, we have been able to manufacture and supply a collection of Planetary Mixer. Our products are manufactured using high-grade raw material which is procured from reliable sources of the industry. These products are appreciated in the market for efficient homogeneous mixing of ointment, syrups, dough, jelly and formulations. The range we offer comes with hydraulic and motorize lift made from stainless and mild steel. 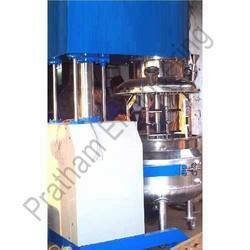 Planetary mixer can be availed in different sizes at nominal prices. Materials like dough, putty, rubber solution, adhesives, polymers etc. The mixing action is a combination of shearing, stretching, folding, dividing, and recombining as the material is processed between the the sigma blades and the container walls. Jacket arrangement is is provided for heating or cooling application. 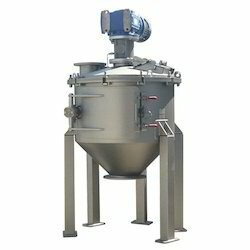 We are established as one of the prominent manufacturers and exporters of Process Machines and are now offering Rapid Mixer Granulator from our collection of Industrial Mixer Machines. It finds a wide range of applications and requires short mixing and granulation time offering uniform distribution of all formulations ingredients by gentle processing. We use the highest-grade raw materials and manufacture these by using cutting-edge technologies. Our stringent norms ensure flawless performance. Short mixing and granulation time. Bowl shape design to have no dead spaces. Easy scale up & Scale down between machine sizes. Uniform distribution of all formulation ingredients. Uniform granules by gentle processing. We are engaged in manufacturing and supplying superior quality Contra Chem Fab Mixers that are designed as per the specification of the clients. These products are fabricated using premium quality material under the supervision of our qualified engineers. In our range the lifting done by hydraulic mechanism to lift shaft helps in adjusting the uniform product. 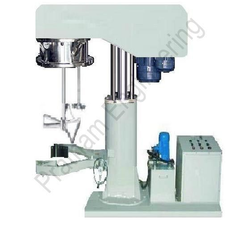 These mixers are generally used in case of applications that require gentle mixing action and minimal heat generation without any product distortion. These blender/mixer can also be used for applications that requires high shear mixing, which can be accomplished using separately driven lump breakers. Above all, the major advantage is that the power required for mixing in a nauta mixer is very less compared to the volume of product it can handle. 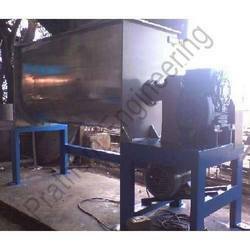 We are manufacturing Putty Mixer designed for both mixing wet and dry ingredients. High quality machine recommended for mixing heavy items such as fertilizer, plaster, chemicals, minerals, detergents, sweeping compounds as well as coffee, tea and soil mixes, oil bound distemper, putty and other heavy chemicals. Contra Mixer as the name suggest works on the principle of Contra rotation of Blades for simultaneous beating and scraping operation . 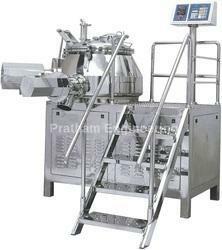 The mixer is highly versatile and mostly used for manufacturing toothpaste, creams, cosmetics and viscous products. The Mixing Assembly consists of series of paddle type blades of appropriate shape to move the material back towards the centre of the container. 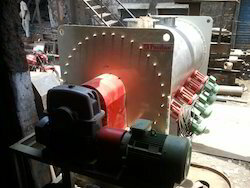 The paddle type blades are provided on the central shaft which runs through a hollow shaft on which other sets of blades are welded. Both the sets of blades intermeshes with each other and rotates in clockwise and anti-clockwise direction respectively and one sets also scraps the container wall for thorough and uniform mixing of the material. 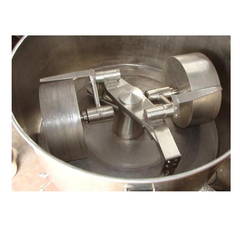 The mixer is so designed to withstand high vaccum applied during the process for optimum mixing. Looking for Industrial Mixer Machines ?